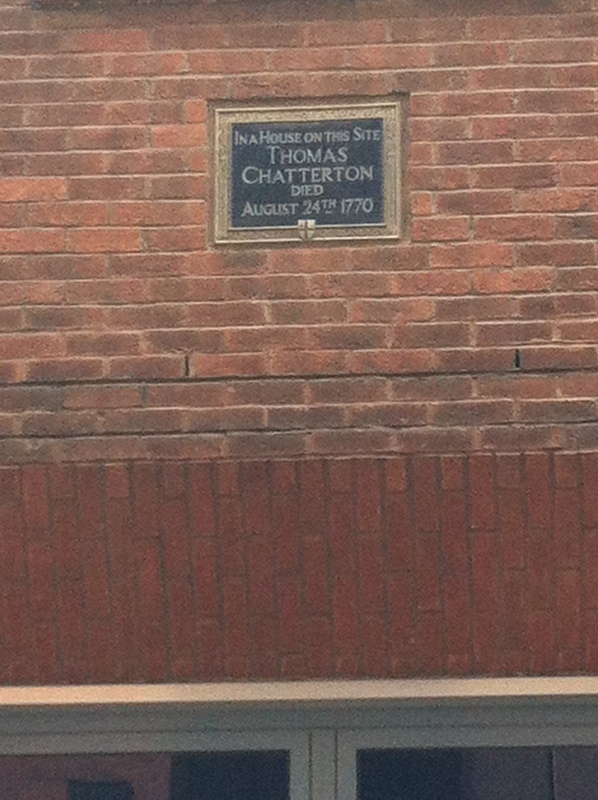 Chatterton died on August 24 1770 on Brooke Street, Holborn, and was buried in a paupers graveyard in nearby Shoe Lane. The graveyard and his grave are lost. This entry was posted in Uncategorized and tagged Brooke Street, Shoe Lane paupers cemetery, Shoe Lane workhouse, Thomas Chatterton. Bookmark the permalink.